Sweet as can be 1970's dress! 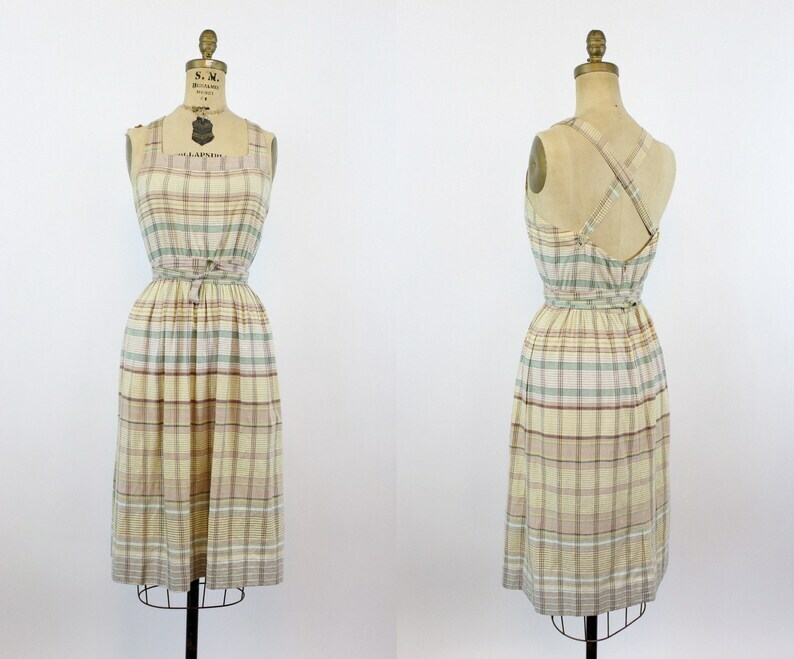 The dress is done in a window pane plaid on a light cotton. The plaid has soft shades of yellow, green, blue, and brown. Fitted bodice with a scoop back, the straps button at the back and cross. Matching belt wraps around the waist twice to tie in the front. Two side slit pockets. Dress is unlined and zips down the back. Bust (underarm seam) : 35"
Total length: 45" Hem: 2.5"
Super nice bag! Shipped quickly & arrived beautifully packaged! Thanks!